Photosynthesis is the process of absorbing sunlight and turning it into energy. 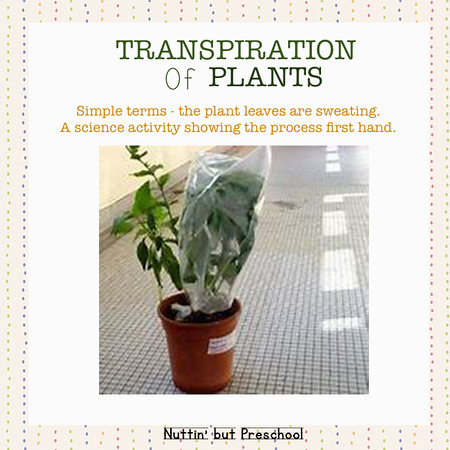 Transpiration is essentially evaporation of water from plant leaves. You don’t see the leaves “sweating” but it is happening. The activity below shows it in action. • Many fruits are edible by animals and humans. • Channel for water, nutrients, and sugar transportation throughout the plant. • Supports buds and leaves. • The site of reproduction. • Contain male and or female parts. • Can be bright and fragrant to attract pollinators like bees and hummingbirds. • Contain an embryo which will become a new plant. • Absorbs water and minerals from the soil. • Provides an anchor for the plant in the ground. 2.) How Does a Seed Grow? Watch seeds grow right before your eyes! Readers can follow the fun clues and guess what delicious fruits will grow from each seed. 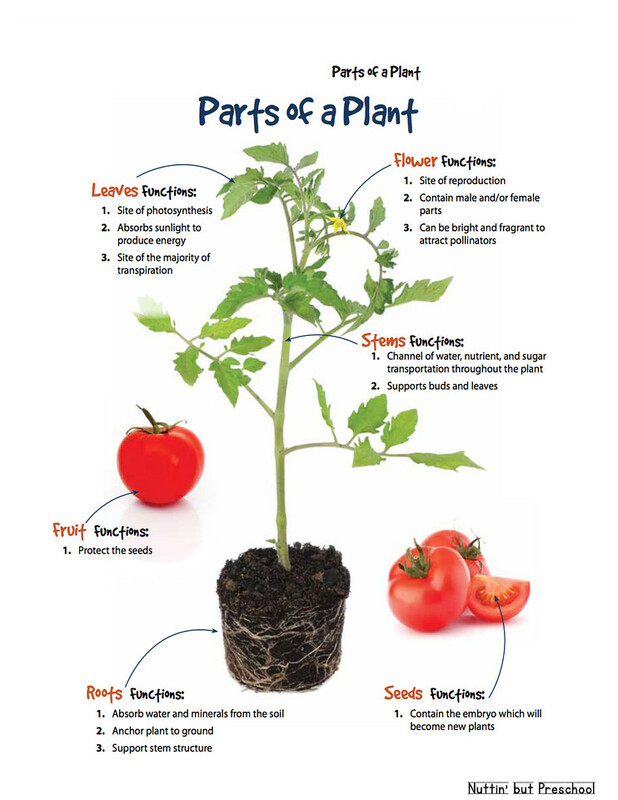 With a lift of each foldout flap, kids can watch the seeds take root in the soil, sprout from the ground, and finally, make the fruits we love to eat! A tomato seed grows ripe tomatoes, an orange seed grows juicy oranges, a pea seed grows crunchy pea pods, a pepper seed grows shiny bell peppers, and blueberry seeds grow plump blueberries.